See How she stands by herself, the others beneath her feet–brave girl! 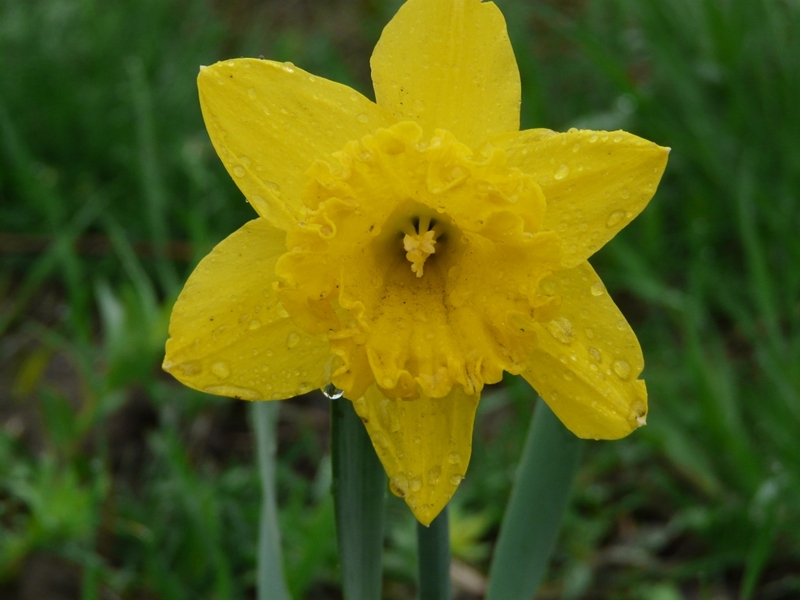 What is the difference between daffodils and narcissus? None. The two words are synonyms. 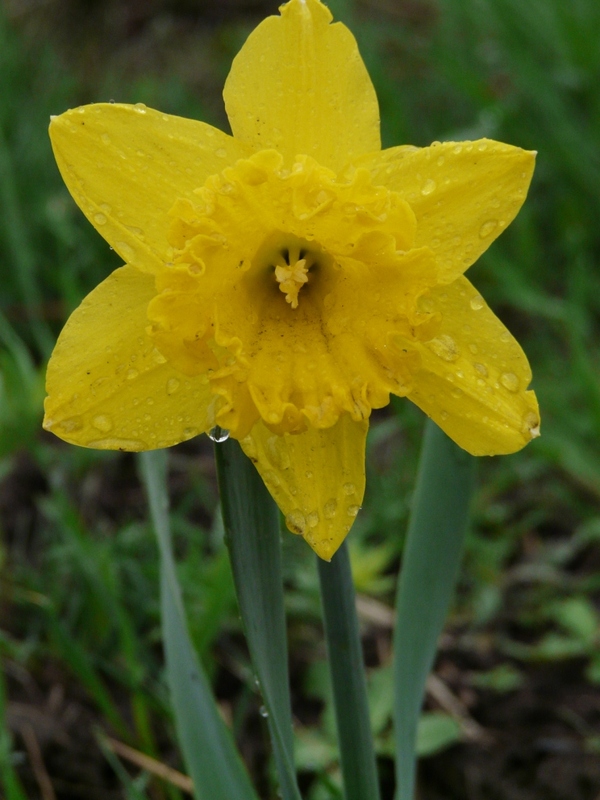 Narcissus is the Latin or botanical name for all daffodils, just as ilex is for hollies. 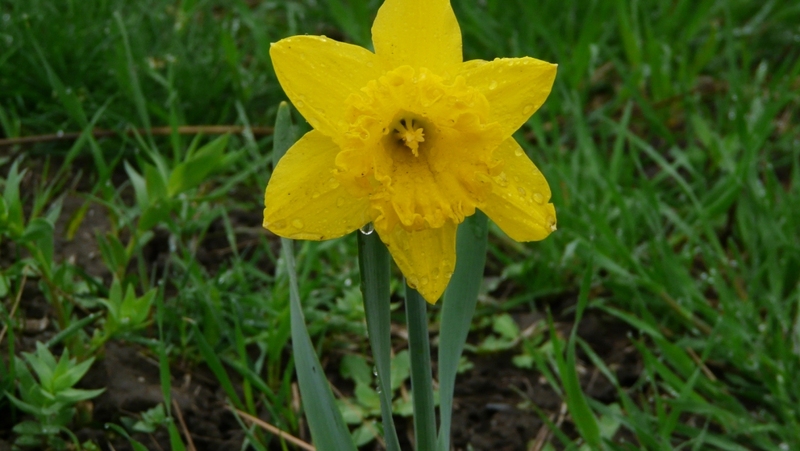 Daffodil is the common name for all members of the genus Narcissus, and its use is recommended by the ADS at all times other than in scientific writing. 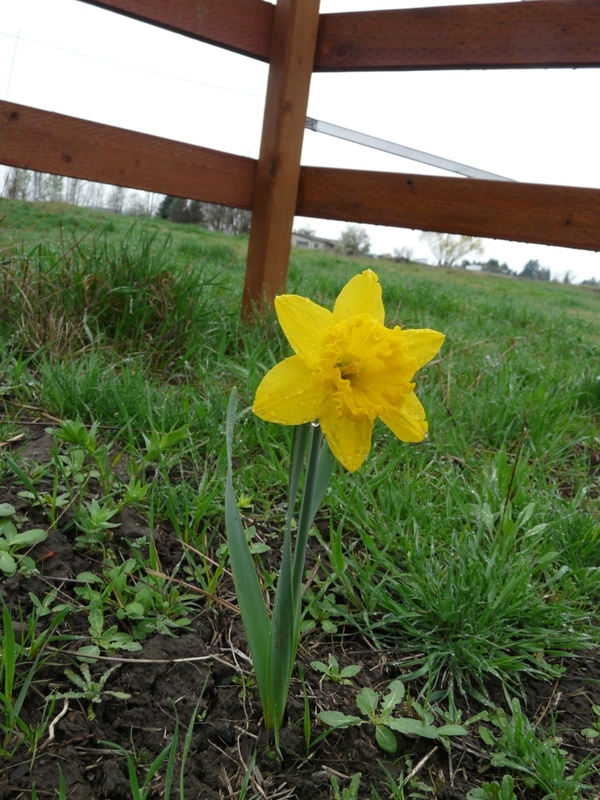 I was driving into my house and passed the Narcissus I planted last year in honor of Emily Dickinson, and I thought, you know those look exactly like my yellow daffodils. Hmmmm…. So, I came inside and consulted the internet, and Voila! Just call me Einstein! They are the same thing. Therefore, it turns out, I planted a whole bunch of daffodils last year! I found a wonderful page on e-How: How to Plant an Emily Dickinson Garden. Check it out! 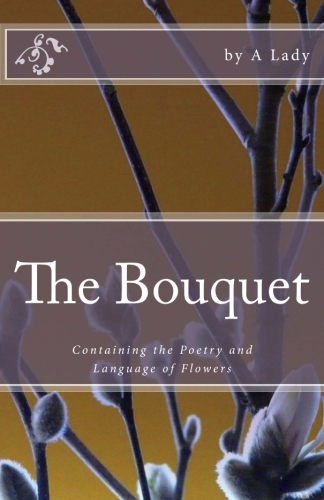 Another daffodil poem from Emily and then two more from William Wordsworth and Ted Hughes. Remember how we picked the daffodils? Nobody else remembers, but I remember. Helping the harvest. She has forgotten. She cannot even remember you. And we sold them. It sounds like sacrilege, but we sold them. 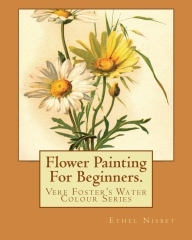 ‘A custom of the house’. To convert everything to profit. And they kept on coming. As if not from the sod but falling from heaven. Our lives were still a raid on our own good luck. We thought they were a windfall. Never guessed they were a last blessing. In the rain of that April-your last April. Through the sod-an anchor, a cross of rust.